A lecturer at Birkbeck since 1947, Eric became the President of the College in 2002 and his passionate service to Birkbeck over six decades has left an indelible mark. 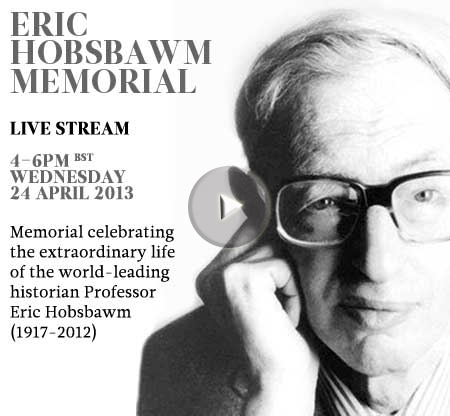 For more information about Eric at Birkbeck, including his video interviews with Professor David Latchman, Master of Birkbeck visit www.bbk.ac.uk/erichobsbawm . Use the hashtag #EricAtBirkbeck to join the discussion on Twitter.